Fully furnished Saigon Pearl apartment for rent, 2 bedrooms, Saigon river and central of Ho Chi Minh city view, very good price 1150 USD/month. Saigon Pearl apartment for rent with 5-star services bring fun endless and relaxing will meet your every desire. With Saigon Pearl apartment, you will see this apartment is the ideal place for those who love a peaceful quiet living space that has not separated from the urban life. To view this property please contact our agent below. Saigon Pearl apartment for rent, 2 bedrooms fully furnished, high floor (26th floor) city view very nice, good price 1050 USD/month. Block Topaz 2 with modern open kitchen. Apartment for rent in Saigon Pearl has 2 bedrooms, 2 bathrooms, living room..
Saigon Pearl Unfurnished apartment for rent, block Ruby tower 1, high floor with 3 bedrooms, view to Central Park and Saigon river, good price 1200 USD/month. Unfurnished Apartment for rent in Saigon Pearl has 3 bedrooms, 2 bathrooms in 133 sqm,.. Apartment for rent in Saigon Pearl fully furnished - 2 bedrooms - in Ruby tower 1, view to Vinhomes Central Park and Saigon river, 2 bathrooms, 1 living room, 1 kitchen, at 92 Nguyen Huu Canh street, Binh Thanh District, Ho..
Saigon Pearl apartment for rent Offer with 3 bedrooms and 2 bathrooms, Saigon Pearl Villas and City View, Best price: 1200 USD/month. 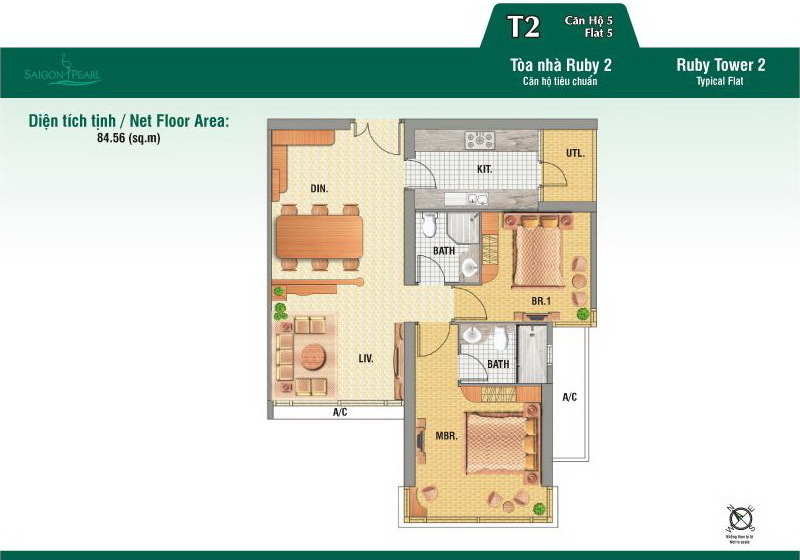 This apartment in Ruby tower 2, 8th floor. Fully furnished high standard sofa, modern open kitchen with dinning table.. Apartment for rent in Saigon Pearl, Topaz tower 1 at 3th floor, an area of 135 m2, the furnished apartment for rent highlights 3 bedrooms with nice wooden furniture, 2 modern bathrooms, cozy living room and fully-equipped kitchen Price of Saigon..